Read this story at MIT News. Pankratius and postdoc Guillaume Rongier, in MIT’s Department of Earth, Atmospheric and Planetary Sciences (EAPS), created the program to identify favorable landing sites for a conceptual mission similar to NASA’s Mars 2020 rover, which is engineered to land in horizontal, even, dust-free areas and aims to explore an ancient, potentially habitable, site with magmatic outcrops. 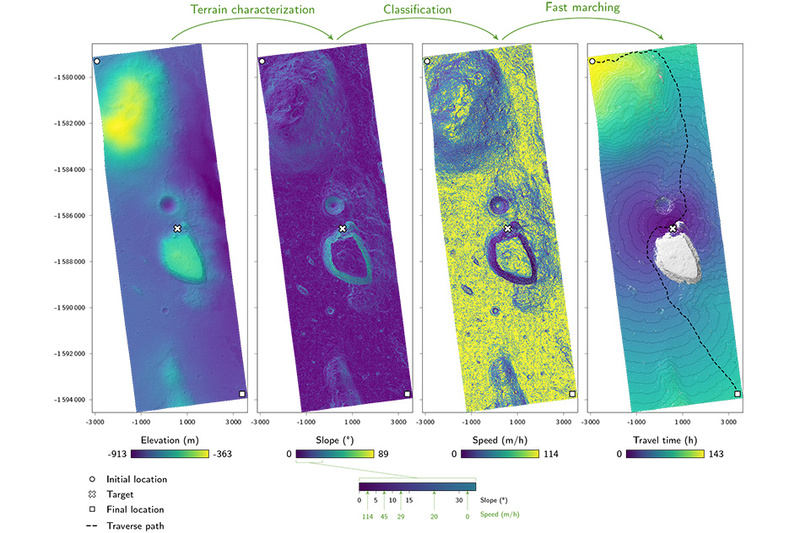 Paper: "Computer‐Aided Exploration of the Martian Geology"